SokSiphana&associates (a member of ZICO Law) will be the legal representative for Cambodia’s very first affordable housing project. “In order to make it convenient and trustworthy for Worldbridge Land customers to purchase low and middle-level houses, our company has discussed with Dr Sok Siphana’s firm to provide legal consultation for the public, so that they understand what this project is about and what the legality of it is, and in that way they will get accurate information and gain a better understanding of our company’s project,” stated Worldbridge Land. 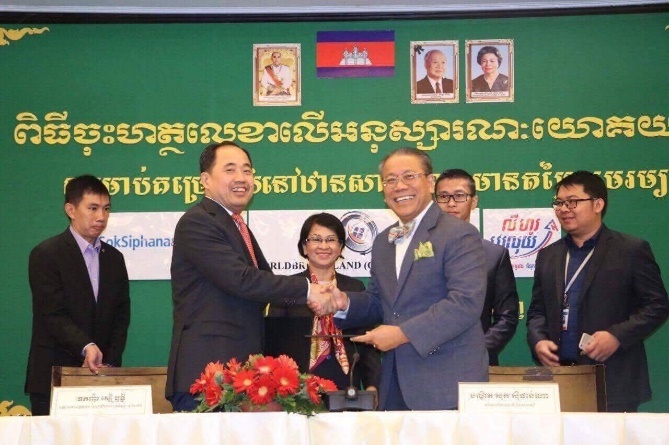 SokSiphana&associates looks forward to participating in a project that would derive many benefits for Cambodia, cites Dr Sok Siphana, Managing Partner of SokSiphana&associates. Read more about the affordable housing project here.